Does the thought of sitting in the dentist’s chair leave you quaking with fear? You’re not alone – more than 10 million adults in the UK have some level of dental anxiety, and an estimated six million suffer from dental phobia. According to a recent study published in the International Dental Journal, dental anxiety can impact people both psychologically and socially, leading to feelings of shame, poor self-confidence, and social isolation. Read on to find out how you can beat your fear of visiting the dentist and boost your mental well-being. Cosmetic dentistry has become increasingly popular over the past decade, especially among adult patients looking for that picture-perfect smile. Although there are numerous options for conventional and invisible brace treatments, one in particular stands head and shoulders above the rest: Invisalign. Developed by two Stanford University graduates in 1997, the company has since gone from strength to strength, treating more than 5 million patients worldwide. Read on to find out why Invisalign is proving so popular among orthodontic patients. Have you been delaying the dental treatment you need? Maybe you’re worried about spending too much time in the dentist’s chair, or going through treatment that negatively impacts your everyday routine? Modern cosmetic dentistry is more flexible for adult patients than ever before, and with numerous studies showing how improving your smile can boost confidence and improve your overall quality of life – why wait? What can I do about excessive tooth grinding? Many people grind or clench their teeth from time to time, especially when they are suffering from stress. This habit, medically known as bruxism, is usually harmless when it only happens occasionally. However, when grinding occurs on a regular basis it can cause damage to the teeth that may necessitate dental treatment. What are the risks of tooth grinding? Over time, chronic grinding can lead to fractured or broken teeth and damage to the jaw joint. Bruxism may also cause teeth to become loose through gum damage, because as they grind together the teeth are rocked back and forth in the gum. This may cause or worsen gum disease; the leading cause of tooth-loss in the UK. Reduce stress levels – Bruxism is often the result of a high-stress lifestyle. If you are suffering from stress, try relaxing exercises before you go to bed, take up yoga, or attend a stress counselling or cognitive behavioural therapy course. You can also ask your doctor about a prescription for muscle relaxants. For many of us, our stresses are bound up with our every-day lives and so it is not realistic to change this. It may be necessary to simply prevent the consequences of the stress. Make a few lifestyle changes – Caffeine and alcohol can intensify grinding issues, so reducing your consumption of foods or drinks that contain these substances can help to alleviate the problem. Chewing gum should also be avoided because it allows the jaw muscles to get used to clenching, making tooth grinding more likely. If you notice yourself clenching or grinding your teeth during the day, train your jaw muscles to relax by placing the tip of your tongue between your teeth. Tackle your sleep disorder – If you suffer from snoring or disorders such as sleep apnoea, insomnia, or sleep paralysis, you are more likely to grind your teeth while you sleep. Your doctor may be able to help you treat these conditions. If you suffer from severe bruxism, the Park Dental Care team can help in a number of ways. 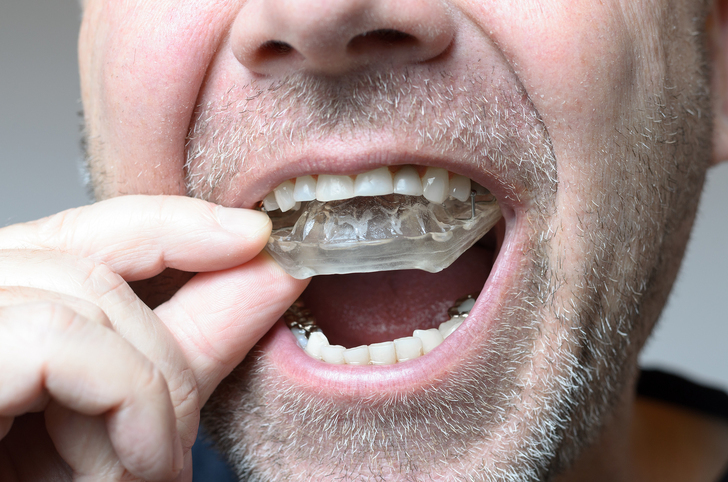 To help prevent damage from clenching, we can construct an acrylic night guard to protect your teeth from grinding while you sleep. Alternatively, we can order “Cerezen” anti-bruxing devices, which you wear in your ears, rather like hearing aids. We also help many people restore their teeth, improving both comfort and their appearance by replacing tooth worn away by clenching with tooth-coloured composite resins. This technique is far more natural and more conservative that the crowns dentists used to restore teeth in years gone by. 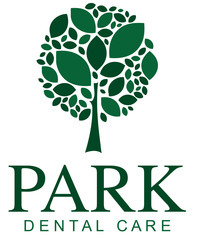 For more information or to make an appointment at Park Dental Care, please contact us today. We look forward to your visit. You can’t beat the fresh, just-cleaned feeling you get after a visit to the dental hygienist. But did you know that regular appointments with your hygienist also play a vital role in the prevention and treatment of gum disease? Read on to find out how an appointment with one of our dental therapists can benefit you. 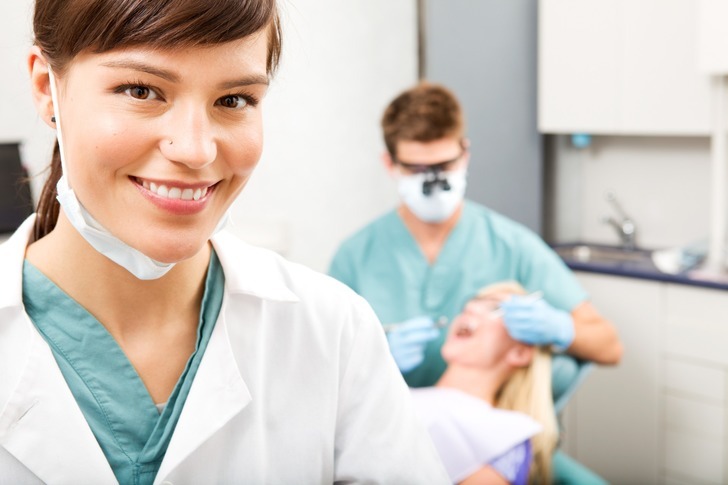 How do hygienists differ from dentists? Dentists and hygienists work together to take excellent care of your teeth, however there are key differences between them and hygienist appointments should not be substituted for regular dental heath assessments with your dentist. Dentists are like GPs and surgeons rolled into one; they can write prescriptions, perform surgical procedures, and administer local anaesthetics. Many dentists have specialist areas of interest in fields such as endodontics or orthodontics. In contrast, hygienists focus on providing services based on prevention and the hygiene of the mouth, teeth, and gums. They play a vital role in identifying and treating the early signs of gum disease. Dental hygienists are experts when it comes to the health of your gums. They provide therapies to remove hardened plaque (tartar) that cannot be removed through brushing alone and demonstrate effective brushing and flossing techniques that can help prevent gum disease. It is also crucial that your hygienist helps you to understand your disease and teaches you how to help yourself. Only by truly understanding what is going on in gum disease can you get the best healing. Park Dental Care dental therapists Claire, Karen and Christina offer both preventative and cosmetic hygiene treatments that are available to you even if you are not currently registered with a dentist. • Cosmetic Polish – A gentle 20-minute treatment that removes staining from tea, coffee, red wine, and smoking from the surface of your teeth, leaving them feeling fresh and smooth. • The Classic – A traditional scaling, tartar, and stain removal treatment using modern ultrasound to loosen calculus and plaque from your teeth and the spaces between them. Once the loosened material is removed, our professional team carry out a cosmetic polish using specially formulated prophylaxis paste. This treatment takes around 40 minutes. • The Full Works – Both of the above treatments, plus an additional polish with Janina tooth whitening paste. During this hour-long treatment, your hygienist will provide advice on effective brushing techniques, dietary habits, and maintaining good oral hygiene. This package is designed and recommended by Park Dental Care dentist Timothy Webber. I’m not a patient, can I still book a hygiene appointment? Yes – Claire, Karen and Christina provide an independent service under the ‘Just Hygiene’ name, and you do not need to be registered with a dentist to benefit. However, this service is not a substitute for regular and professional assessment by a qualified dentist and all clients are advised to visit a dentist for a full assessment. Hygiene appointments are available evenings and also on Saturdays. 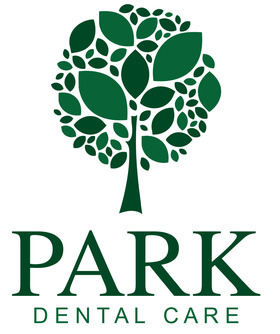 To book your next dental hygienist appointment with Claire and Christina, contact Park Dental Care today. Many adults would like to improve their smile, but are daunted by the length of time most traditional orthodontic treatments take and feel self-conscious about wearing obviously visible braces. Six Month Smiles is a short term orthodontic treatment that can give patients straight, healthy teeth in a much shorter period without may be the disadvantages of traditional braces. 1. Initial consultation – During your first visit here at Park Dental Care, a clinical professional will examine your teeth and assess whether Six Month Smiles braces are the most suitable form of treatment for you. 2. Impressions – If you are a suitable candidate and decide to progress with the treatment, you will come back so we can take impressions of your teeth. These will be used to create the materials we need for your treatment. This ensures that the brackets are accurately positioned so they can bond to your teeth before the wires are fitted. 3. Monthly visits – You will need to keep monthly appointments throughout your treatment so that we can make minor adjustments to your brace as your teeth begin to shift position. 4. Retainer – After your brace has been removed you will be given a retainer to ensure that your teeth remain in their new position. How is Six Month Smiles different from traditional orthodontic treatment? • Faster – As the name suggests, most treatments take around six months. This is much less time than conventional orthodontic treatment. • Gentler – Six Month Smile braces use lower pressure than traditional metal braces and cover fewer teeth, which means that the overall experience is more comfortable. • Subtler – Unlike the traditional metal ‘train track’ braces, Six Month Smiles uses braces and wires that are the same colour as natural teeth, so they are hardly noticeable. • Cheaper – Six Month Smiles is typically less expensive than traditional braces or veneers. If you would like more information about the Six Month Smiles treatment at Park Dental Care, please contact our team today. I'm missing a tooth - what are my options? Losing a tooth can cause a loss of self-confidence and even a reluctance to smile in the long-term. Fortunately, with recent technological developments there are several options available for patients who have lost one or more teeth.